This article appeared in Rock and Ice issue 247 (January 2018). 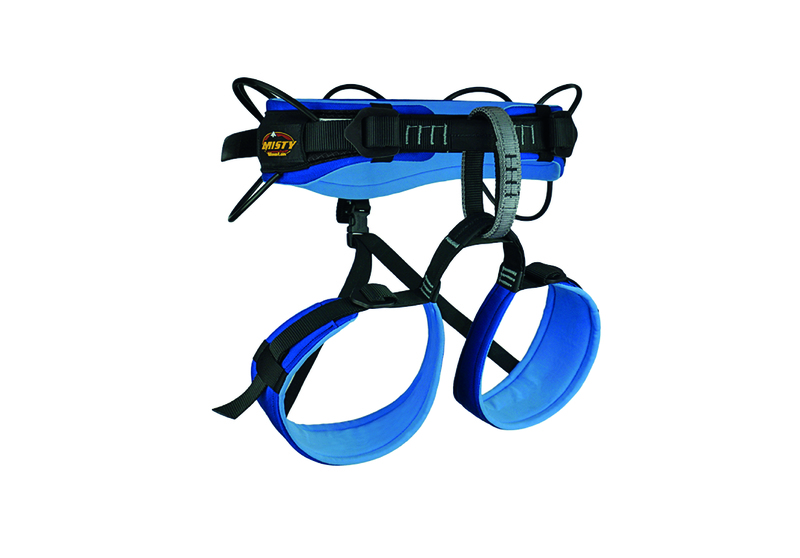 Beal has made a high-performance harness with a flat-weave webbing construction that minimizes pressure points. The Venus comes with four generously sized, ergonomic gear loops that protrude from the waistbelt to facilitate racking up, and a small tag loop for tag lines or multi-pitch essentials. The highlight is the double-buckle fastening. When I climb in a T-shirt, I’ll cinch my harness all the way down, but in the alpine or on cold days I’ll bundle up, and the extra clothing increases my waistline by several inches. The double-buckle fastening on the Venus means that even in my customary five layers I can adjust the harness to center the gear loops, ensuring that none of them get lost behind my back, out of sight or reach. 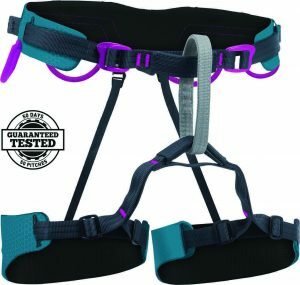 This harness only comes in two sizes, 1 and 2, which may not suit all women. Furthermore, the auto-adjusting elastic leg loops only have a few inches of play, which makes the harness neat and light—and the fit good and snug—but means women with small waists and larger legs, or vice versa, may find the fit doesn’t suit them. 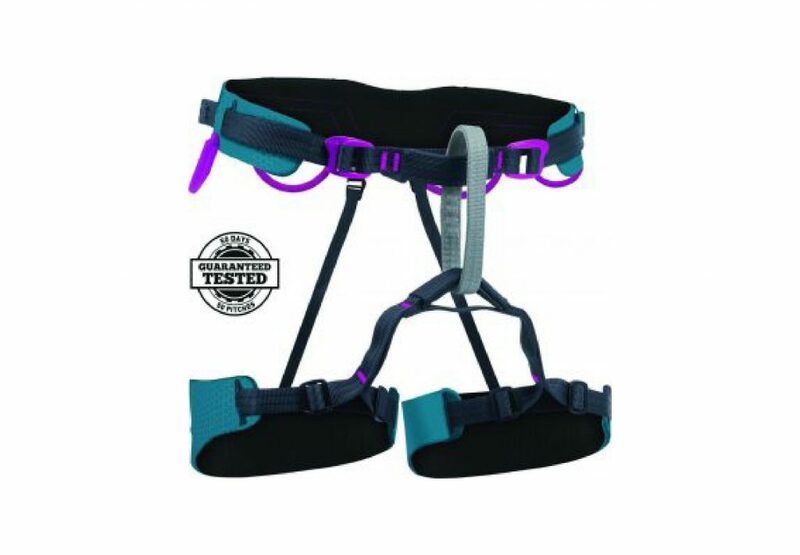 These leg loops also won’t be ideal for mountaineering or ice/mixed climbing, where you may need to pull the harness on over boots or crampons. The Venus is comfortable, lightweight and slim and is therefore valuable on alpine rock or on long approaches—when weight and space need to be economized—or for high-end sport climbing. 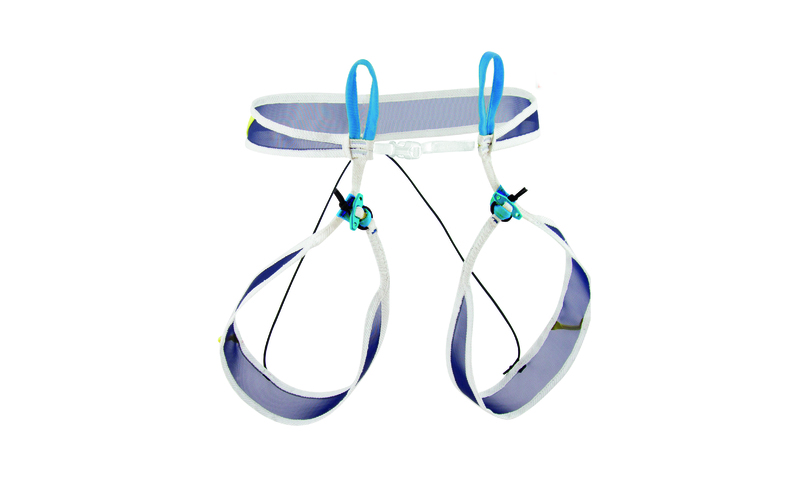 -Only two sizes and limited adjustability in leg loops. -High-level sport and trad climbing.